Being a city in the heart of the Mekong Delta, Vietnam, Chau Doc is a wonderful place – small, cheap, rather unspoiled and very friendly despite the lack of things to do. Dominated by a large Indoor Market, Chau Doc is a place to visit if you are the type that prefers markets to malls. Located about seven kilometers north of town, Sam Mountain is the main attraction. Being home to many shrines and temples with a colorful temple at the base, and smaller places of worship on the way up the mountain, this tourist destination is considered as a local pilgrimage site. 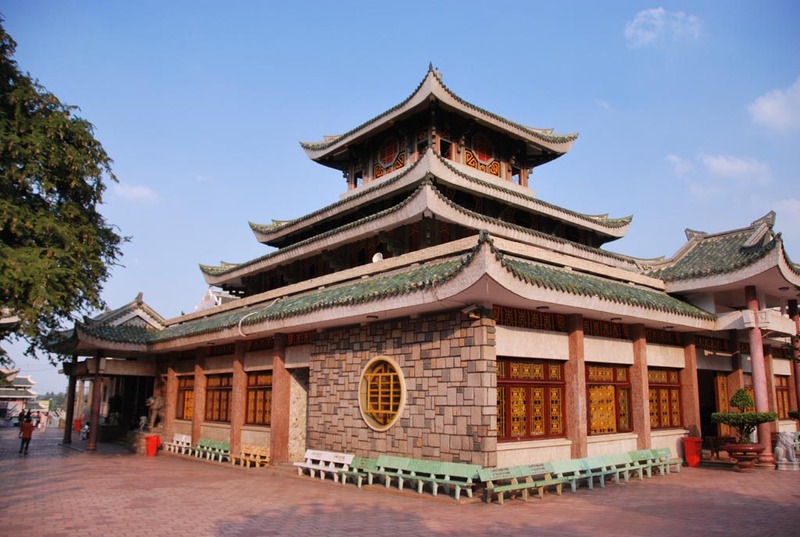 However, Ba Chua Xu Temple, which has its own festival held between April and June is the most religiously significant. Tuc Dup Hill, where the U.S. forces failed to stop the small-scale insurgencies in the delta, is surely an attraction that history lovers would appreciate. Tra Su Bird Sanctuary, which has a 23-meter high observation tower, enabling travelers to see over the reserve and the gorgeous countryside surrounding it, is another attraction worth visiting in Chau Doc. When it comes to dining scene, Bassac and Bay Bong Restaurant are the two most outstanding restaurants. Even though the former is upscale compared to the latter, both serve exceptional dishes which are well worth trying. For good a reason, Bay Bong is such a favorite dining destination. Not only delicious, all these dishes here are also reasonably priced. 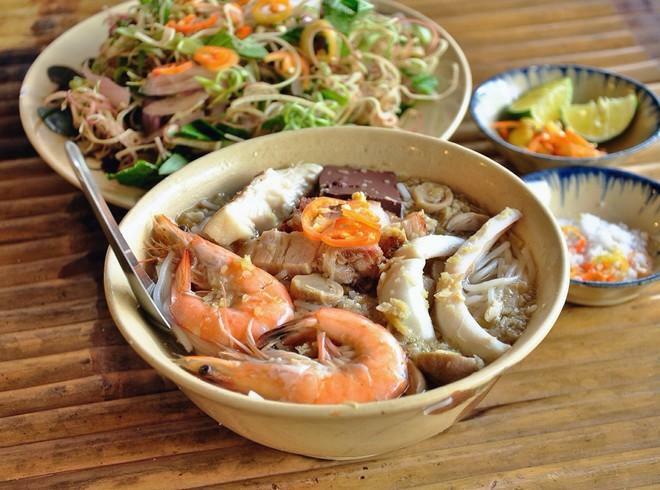 One is served with fresh seafood fare, mouth-watering soups and hot pots and the highly recommended dishes are ca kho to (stewed fish in clay pot) and canh chua (sweet and sour soup). Let’s head on over to the Victoria Chau Duc Hotel, where the Bassac Restaurant is located if you prefer a more sophisticated dining experience. Besides stunning Vietnamese delicacies, this restaurant also offers a wide selection of international cuisines. In this place, the dessert options are also impressive and it is possible for diners to choose to have meal either on the deck or in the air-conditioned dining room. Even though Chau Doc is a sleepy town and Chau Doc locals usually go to bed early, travelers still can find themselves in Chau Doc after twilight with a few drinks and maybe even an exciting dance. 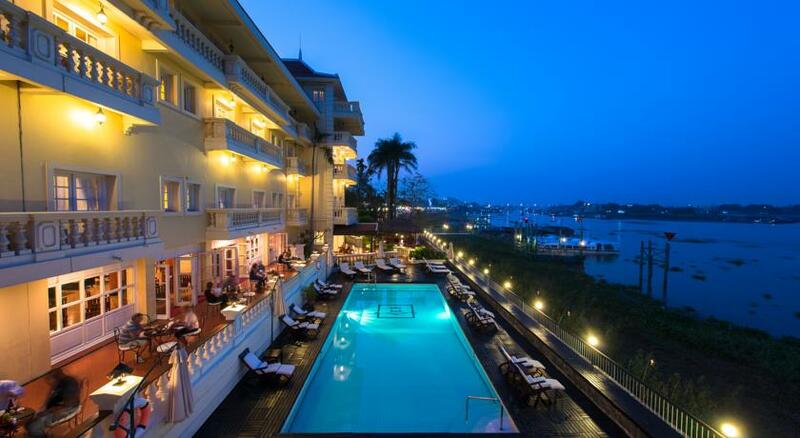 The best place to stay in the Chau Doc region is probably is the four-star Victoria Chau Doc Hotel. Coincidentally, it is also where one of the best bars in the city is located. After a day of sightseeing, one of the nicest places to visit is the Tan Chau Salon bar. In addition to Asian and Western snacks, this bar, which is open until 11pm, also offers several great cocktails. Situated about two kilometers from town, on the way to the famous Sam Mountain, Gio Dong is an idyllic spot to go for couples who are interested in a nightcap. 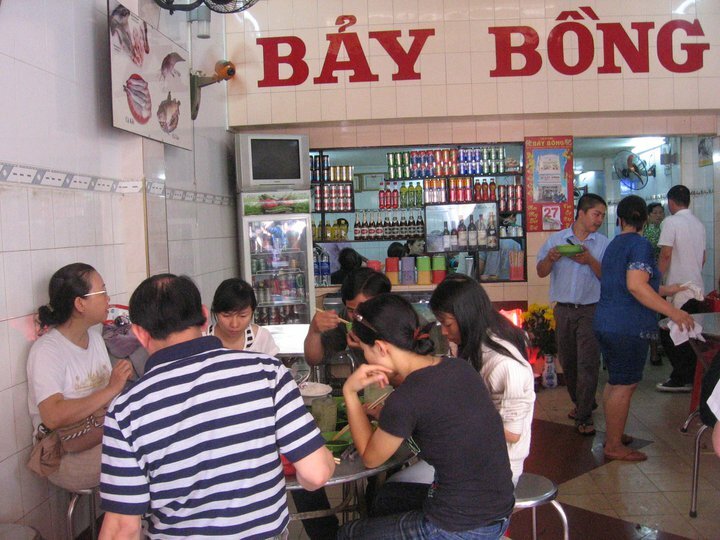 An Tuong 2, which is a local favorite, is the place to go if you want more than a drink to end your night. Like other Vietnam’s rural areas, Chau Doc has a floating market expanding from the bank of the river and along the streets of Chi Lang, Bach Dang, Phu Thu and Le Cong Thanh Doc, where almost anything can be found. This is the market where you can find most local products and commodities. However, it is also possible to purchase merchandise from Thailand and Cambodia here. You can see what is sold at each floating store thanks to a sample of the vendor’s wares shown on a long pole. This market is one of the best places to get fresh regional products, the wide selection of goods sold here is really impressive. 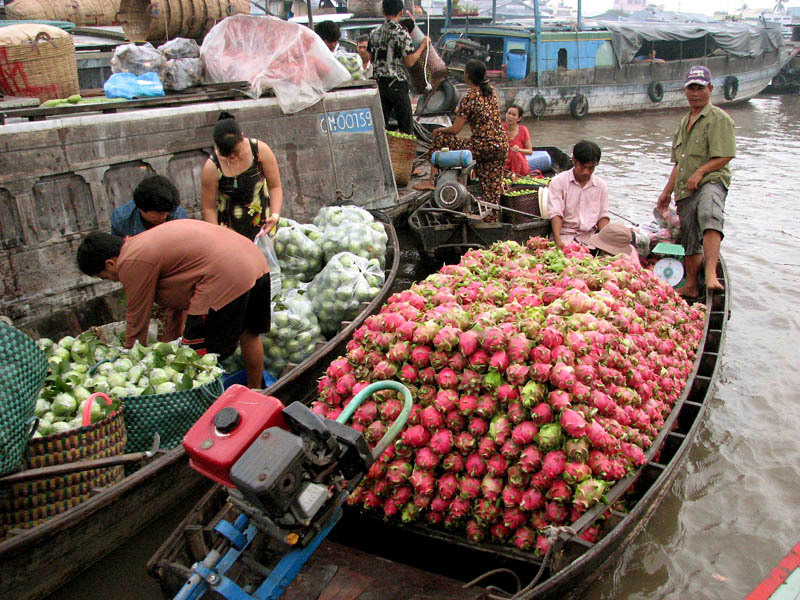 At most boats can you find an assortment of vegetables and fruit sold. There are those that sell local embroidery, some hawk handicrafts and antiques while others offer silk products, such as bags and clothes.